There is a saying that ” everyone has a book in them”. 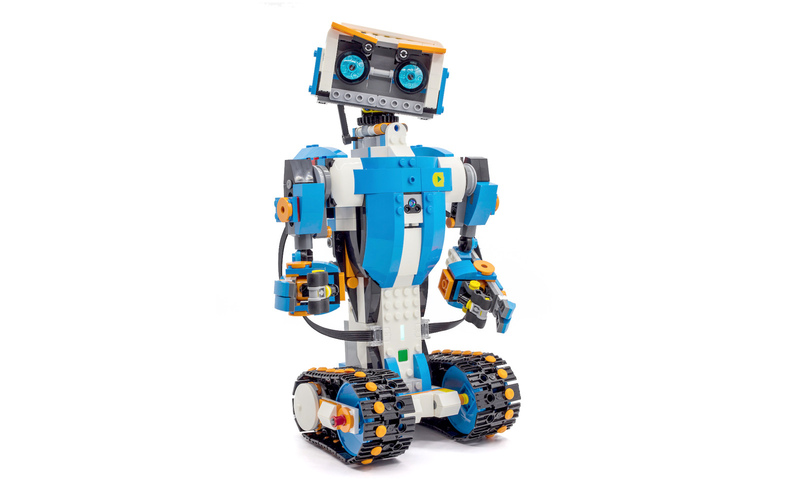 In fact, I think everyone has an invention in them, or at the very least, an idea for an improvement to an existing product. With this is mind, I wondered whether this might be true of people we are all familiar with. Spurred by Google releasing a new patent search engine, I started to investigate and dug up some fascinating patents filed by public figures, sportspeople, politicians and celebrities. 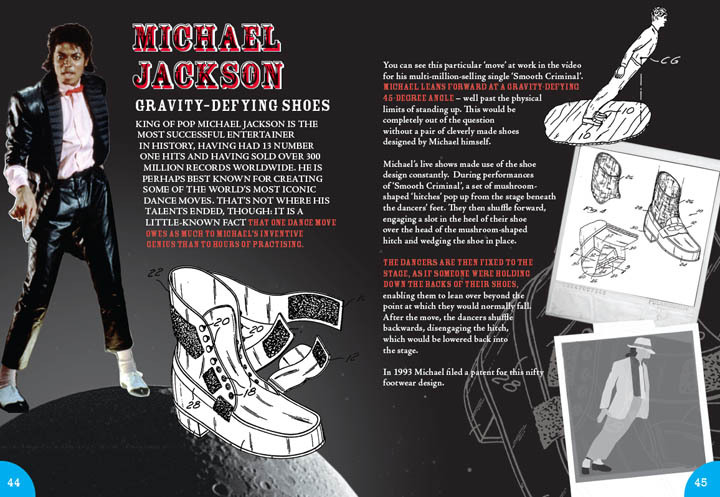 I decided to put together a book on the subject. 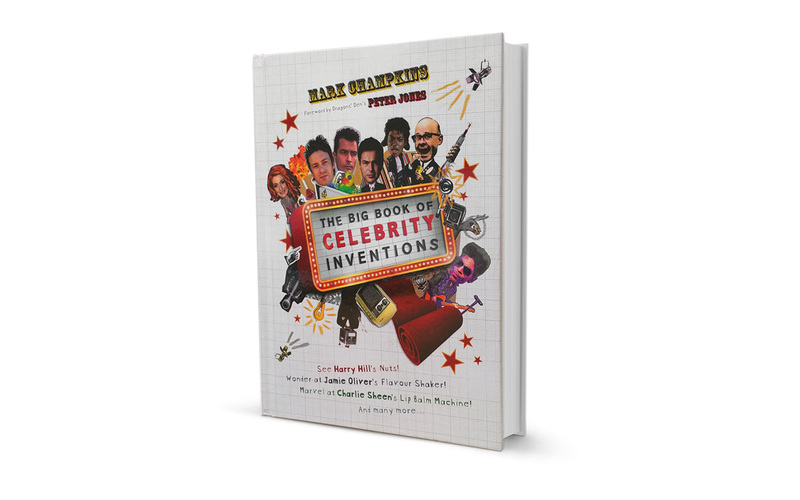 After 18 months of research and writing, I teamed up with illustrator Jerram Clifford and good friend Martin Vowles to design the book, and in 2011 it was published by Harper Collins. You can buy it here. 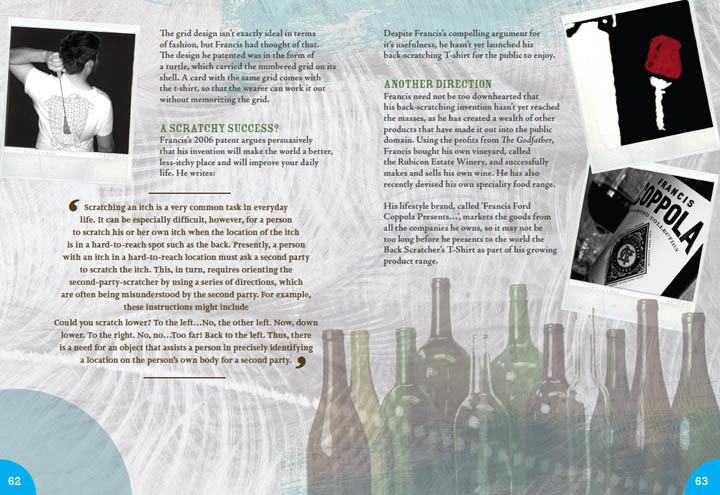 The contents page is shown above, and below are some spreads from the book. 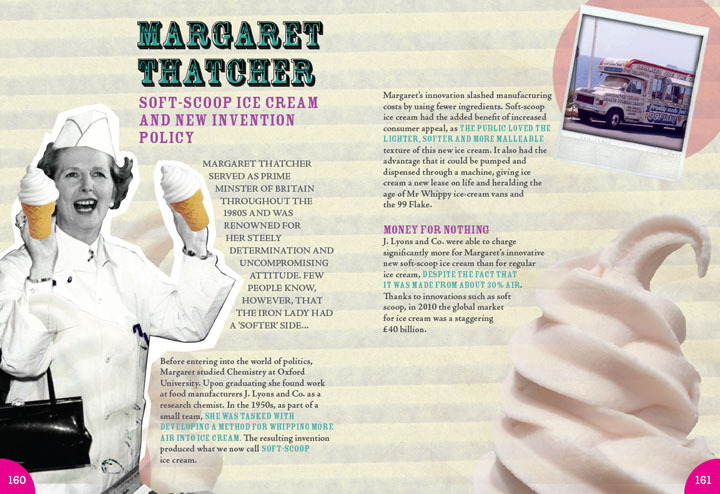 It was a delight to discover that Margaret Thatcher had invented Soft Scoop Ice cream. 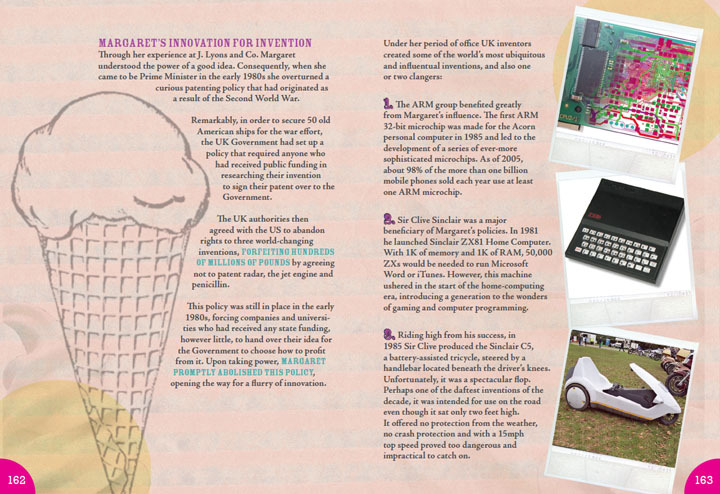 She worked as a chemist, and as part of a team of three, she figured out a way to pump ice cream through tubes. 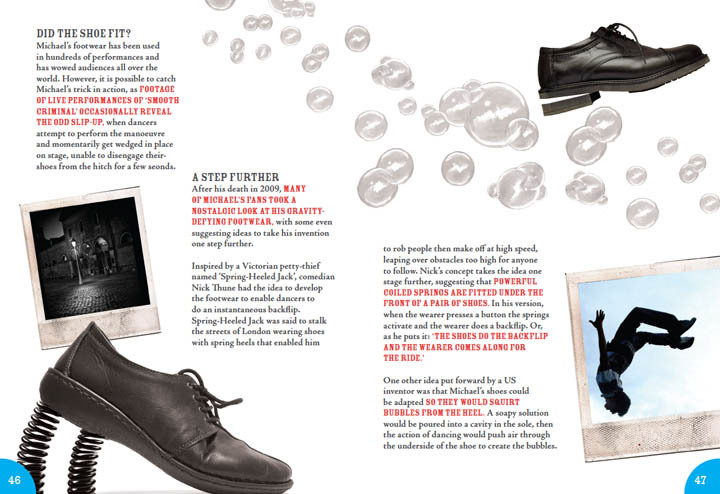 Michael Jackson invented a pair of natty shoes that enabled him and his dancers to do a 45 degree lean, which is used in the Billy Jean video. If you look on youtube, you can find clips of some stage mishaps, involving some of his dancers getting wedged in place on the stage. 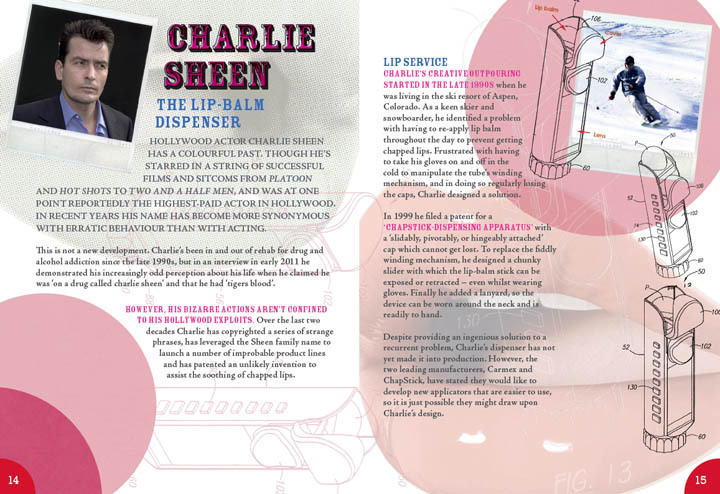 Charlie Sheen has patented a string of new products, including a chapstick dispensing device. 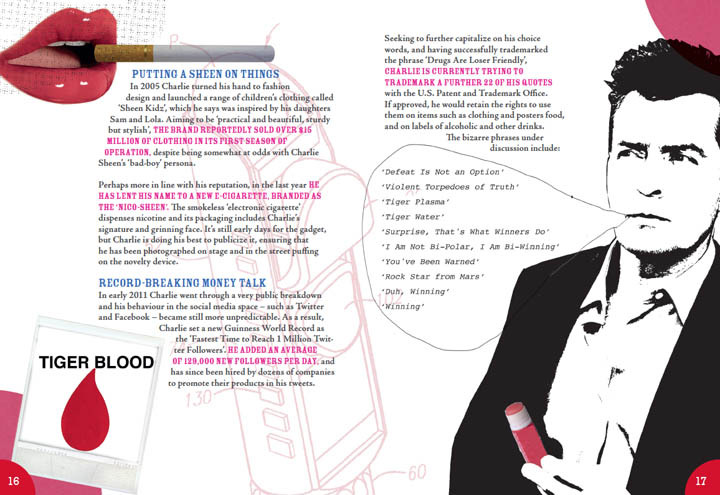 He’s also pushing to copyright some of his slightly strange quotes. Actress Jamie Lee-Curtis patented a clever nappy design. 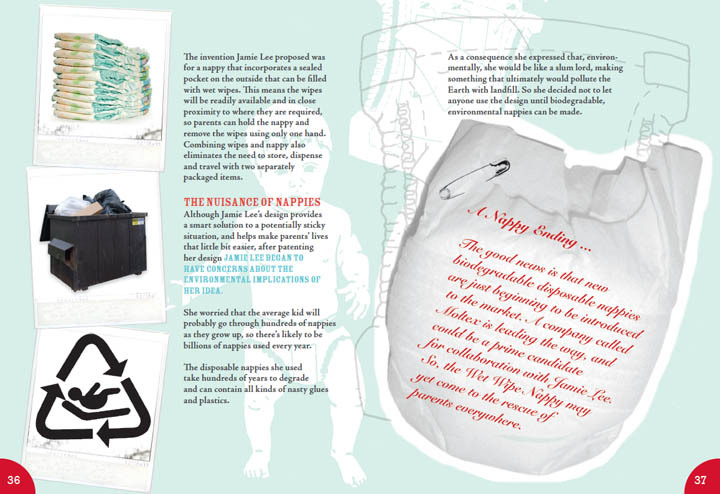 It may be that these nappies will find their way into a shop near you someday soon. 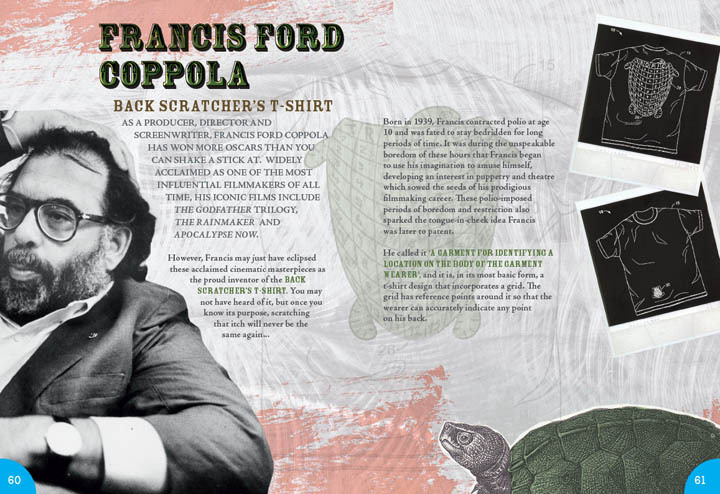 To add visual impact, he based his grid pattern on the back of a Turtles shell.